To provide a bit of background for my Hoodoo Bones system, and to show the way to the next step for those who’ve bought or made their own set, I’ve decided to write a bit on reading actual bones. There are many traditions from many cultures, but they all work well provided the reader is in tune with Eshu and Ifa or whatever the name is that they call them in their own culture. By the way, the official terms for divination by casting bones are osteomancy and ossomancy. In Yoruba and close cultures, they have diloggun, which is the reading of the cowrie shells, and other sorts of readings according to the Ifa system. This is a very old and accurate system, and I encourage all prospective bone readers to at least learn the basic principles of it or amathambo, the southern African method of bone reading. Then you’ll have a context for other diaspora or Hoodoo methods such as dice and domino divination as well as others. Because I am of mixed African and Catawba ancestry, and I live in Israel, the Hoodoo way works best for me. I live in an ethnically diverse area in the mountains of Elijah and near the sea, so I cannot ignore things in order to stay traditionally African. You may get the most out of methods closer to your ancestry, but mind that you may also get more out of whatever your adopted heritage is. It is not at all about race as in color, but about the combination of your genetic heritage and literally the earth from the environment that permeates your blood and flesh. Especially if you eat naturally and usually locally, your body has joined with the ground you are standing on. When you are working with natural forces, it is best to be natural, not overly traditional. You may have a religion, but the Earth does not. One must adapt to their environment in order to thrive and survive. One must also not refuse connection with the local flavors of spirituality or the people around them who they serve. If you put a barrier between yourself and the people you are reading for based on your own personal racist or elitist sentiments, you of course will not be able to give them accurate readings. If you are learning to read bones, and would like to discuss it in a more private area than the site comments, go to Witch University. It’s free, and you can learn a lot. In the general Hoodoo method (traditions vary, mind you), the first time that you dedicate a set of bones, they should be the full or partial skeleton of an animal properly sacrificed to the Orisha of your head, or from your spirit animal who has died of natural causes or legitimate hunting. By legitimate hunting, I mean someone went out to the woods, hunted it, and killed it, or it came to a human populated area and had to be put down. You should avoid killing an animal that may belong to someone, including those who have new pups. Also, be mindful of your local hunting laws. If your animal is a feline or canine, you do not need to do the killing, and this is not recommended because even if they are stray, someone likely cares for them. Simply wait until you encounter one who has died on the road. If it is a chicken, go to a farm where these are raised and select your bird according to the offering/sacrifice rules of your Orisha, and have a priest of Ogun, a Jew trained in kosher methods, or a Muslim trained in halal methods do the deed. Remember, we are all children of Yemaya regardless of our politics. The best way to do the initial cleaning is to let nature do the job. Bury them or leave them out in a place you know they won’t be carried off. After six months or so, for sanitary purposes, you may want to bathe them in 35% or higher hydrogen peroxide. After they are cleaned, they should be consecrated. This varies by tradition, but as a general rule, Eshu, the ancestors, and Ifa should be called upon. Then they should be passed through sacred water, sacred fire, sacred earth, and sacred air. Then do the first reading to learn the animal’s name or what kind of name they would like to be called. The skeleton is your base set. Each type of bone has its own meaning, and this varies by tradition. However, generally, head bones belong to Orunmila, and the head is the container of the Ori. So depending on the context, skulls or parts of skulls could refer to the Supreme God or to the state of the person’s soul. Vertebrae belong to Eshu. Just as the spine carries messages from the nerves to the brain and back, Eshu is the gatekeeper between the physical and spirit realms. Humeri belong to Yemaya. Phalanges and claws belong to Ogun. Teeth represent specifically divine movement through a particular Orisha. Canine teeth and upper beaks represent war or conflict. Pelvic bones belong to Oshun and/or Yemaya. The The baculum belongs of course to Shango. Horn tips belong to Oya. You get the point. If your animal is a snake, you may have to go by where the ribs and vertebrae correspond to placement of various organs on the snake’s body. In any case, when you throw the bones, you are looking to see how well your base set conforms to the actual skeletal anatomy of your animal. The closer they are to it, the more okay things are. It’s a “no news is good news” thing. If they are more disarranged, this means there is an actual message that may be good or bad. To help you to read more accurately, or for confirmation of what it is your base set is trying to say, or to boost their energy, you may want to add other objects, shells, or bones from other animals. A rattlesnake’s rattle, for instance, can tell you whether or not there is a warning of danger. An Oya’s mirror can tell you whether the reading is about the past and present or the future. A piece of Obsidian (which belongs to Aganju) may tell of what lies ahead during travel or a journey. Add whatever objects you and your guardian spirits deem necessary. Your bones should be kept in a safe place, and not handled by people you don’t trust. You should keep one of them with you as often as possible. If you tend to lose things, keep it in the “you” section of your altar, but touch it often. Aside of consecrating the bones themselves weekly, you should cleanse and purify your hands before touching them. Never ever touch them with dirty hands. Don’t leave them laying around in the bathroom or something unless you have to take them with you to protect them from someone you don’t trust. At some point, the bit of personal energy of the animal that is left in your base set or other bones you have added may tell you that it is time to let them rest. At that point, you should give them a nice funeral. Seriously, if you have made a lot of money from them, or gained some status from them, the expense and grandeur of the funeral should match this. They should have a stone marker of their burial with their name on it. Can I buy a set of bones or do I have to acquire and treat all bones and artifacts myself? Technically, you can buy a ready made set of bones, but it just won’t be the same. Some fur traders and scientific supply stores have full skeletons, and if you ask for a specific type, they will get it for you. The problem is that you wouldn’t know what kind of life the animal had or whether or not it was properly killed. So if you’re going to buy, it is best to buy the whole animal and then you can say what is and is not to be done with the bones. If your animal is a cow, then if you buy the cow, you get to say which bones or parts of the bones you want reserved, without an argument or uncertainty. If your animal is more exotic, like a wolf or a bear, then you may have no choice but to buy from hunters or specimen supply stores. In such a case, you will need to apologize to the animal spirits for anything wrong that was done to them by a human, and give them offerings. My animal is very exotic, endangered, or extinct. Can I use replica bones? Yes you can, but they should be well crafted. They should be made of a resin or polymer clay that contains some earth from the animal’s native land, or wood from an old tree or bush from there. The head “bones” should come from near the roots. The vertebrae should be from the trunk. The limbs should be from the branches. Take care when harvesting wood from a live tree. You may kill it or make it vulnerable to disease. I would use wood from a tree that has already fallen or has been freshly cut down for a good reason, such as to make way for younger trees to grow. Can I use human bones? Not without explicit permission from the person. Animals in the wild and on farms are used to being prey or life and death competition. You may at some point actually encounter the bones of an animal who resents having them used after their death, but those who’ve walked this path a ways have also encountered animals who didn’t want their bones thrown in the garbage. Some have felt, while eating an animal, that one in particular, especially roosters or “alpha” members of their herd or group wanted some amulet made from their bones. Humans usually definitely don’t want their bones harvested, but then some do. Some people donate their organs so that others can survive physically, and some people may well donate a part of themselves to help others survive emotionally and thrive spiritually. Another thing to take into account is that humans are your own species. There is such a thing as being way too in touch with your mortality. Some well regarded priests and nuns of eastern faiths do donate their skulls or other bones to use as spiritual tools. Usually this is done so that their body becomes a statue to the deity of their head. They are giving all, including their body, to their deity. One should consider that when this is done, the area they are housed in becomes a sacred shrine. You may have heard stories about how some westerner unwittingly bought a Tibetan or Indian priest or priestess’s skull and now will not let anyone touch it, underwent a personality change, etc. Humans and possibly other intelligent animals can consciously direct their energy, so any human (or dolphin or whale, or…) artifacts should be handled with the utmost care. It is not something you should do to be cool or out-goth your friends or something. If your path is that of a warrior who is in actual wars, this is a good reason to accept a human bone that comes to you. In this case and ONLY in this case are you to accept a part of your actual enemy that has become dislodged during the battle. Taking trophies on purpose is illegal though. If you are afraid that some bones may go into the wrong hands and be disrespected, you may acquire or purchase them to bury or enshrine. Ask the spirit what you should do with them. Even though some may have asked to have their bones preserved and repurposed before their deaths, they may be ready to rest now. Respect that. Update November 6, 2014: Since I wrote this article, many more bone readers seem to have come out of the woodwork. Some are coming from older traditions, and some are using my innovation, Sheloya’s Hoodoo Bones, while others have made or discovered their own ways. Of course, some were quick to start calling everybody frauds, without actually looking into each reader to see if their methods were sound. Even though I was one of the main writers responsible for reviving this style of divination on the internet, I think this is very bad form. You see, even though I helped to bring it to the attention of more diviners and rootworkers, I certainly didn’t invent osteomancy, nor do I or have I ever claimed that my way is the only way there is. African and diaspora spirituality covers a very wide range, and we live in many different climates and environments, and come in many different mixtures. So there is no one way that is the only way for everyone. I can’t tell you who is real and who isn’t specifically, because I don’t spend a lot of time looking for others to berate or belittle. I can tell you though, that it doesn’t matter how they came into the knowledge, as long as they have it. I don’t care if they got it from reading my articles, someone else’s, a book, a video, or a friend or mentor. It is truly irrelevant, so long as it’s spiritually and metaphysically sound. My only real worries when it comes to this is whether or not the diviner knows their method well, is a good spiritual counselor overall, and most importantly, if they respect the Spirits/forces of Nature they are working with. A lesser, but still important concern, is with the trending aspect. The bones require someone who is very aligned with Nature, and this is whether we’re talking about literal bones or tiles/runes. One has to be able to visualize in more than two dimensions, consider multiple possible time streams, and differing perspectives, all at once. It requires a certain level of maturity, experience, and consciousness that one is helping people to get through real life issues. One can neither afford modernist over-idealism, nor postmodernist cynicism. I suppose this may be one reason why some traditional adherents and conjurers may panic when looking around and seeing a proliferation of bone readers. Moreso than the tarot or other more straightforward methods using the Odu Ifa, Bible verses, etc. one has to be more than a reader. One must be a seer. Seeing what has become of the Nordic Runes, I share some of their concerns. I will stop short of calling someone who is sincere and has the technique a fraud, but I will express concern with any traditional or culture/ethnicity heavy method being taken too far away from its origins. In order to truly understand the Nordic Runes, it definitely does help to have some Nordic ancestry, as well as Nordic traditions passed to one through heritage. Crossover and overlapping is fine, but stripping of the culture from the method is not fine at all. This has happened in far too many cases, where people apply whatever meaning they like to a rune, despite its actual meaning, and don’t understand that they’re also magickal, not just symbols. So it is my hope that as bone reading becomes more popular, those who stay with it take the time to speak to the elders and traditional practitioners of established, living faiths with unbroken or less broken lines. One may be good enough at reading to give a reading, but one needs to be good enough at life to give a good reading. 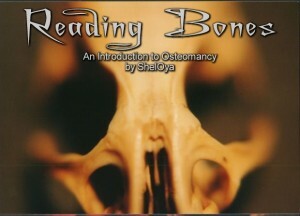 bone reading, bone readings, hoodoo, hoodoo bones, hoodoo divination, how to make divination bones, how to read the bones, learn hoodoo, learn vodun, ossomancy, osteomancy, reading bones, reading the bones, throwing the bones. Bookmark. This is one of those methods that isn’t isolated from the belief systems they come from. You would learn it from someone who reads bones but isn’t just a reader. They’ll be a shaman, priest, or scholar too. So you’d learn it in the course of learning their flavor of mysticism. Basically, if you find someone who reads the bones, you can learn if you become their student or apprentice. The reason why is because much like the Diloggun, if you don’t have the context of the spirituality, you won’t understand what you’re looking at. I’ll be jiggered (wide grin)! I was just beginning to think that I “knew it all”, and now I encounter a divination system that I knew literally NOTHING about! I’m deep into Ifa divination myself, and on account of every (good and honest) divinatio system doing kind of the same thing Ik’m sure that I will find lots of similarites… or possibly not really similarities in the process, but certainly in the purpose. I’m glad I dropped in! Be, stay, live and drop in well! Dr. Lazarus Corbeaux displays a photo of his black cat bone divination. He also has videos on YouTube occasionally. If you're looking to learn, you definitely want to take one of his courses because he is very respectful of the energies he works with. Ayele Kumari does a sample bone divination reading. WitchUniversity.com's page on basic dice and domino reading with some numerical correspondences for Orisha adherents and instructions for consecrating and housing one's tools.